After enduring one of Hollywood’s most public splits, Jennifer Aniston deserved to find her happily ever. 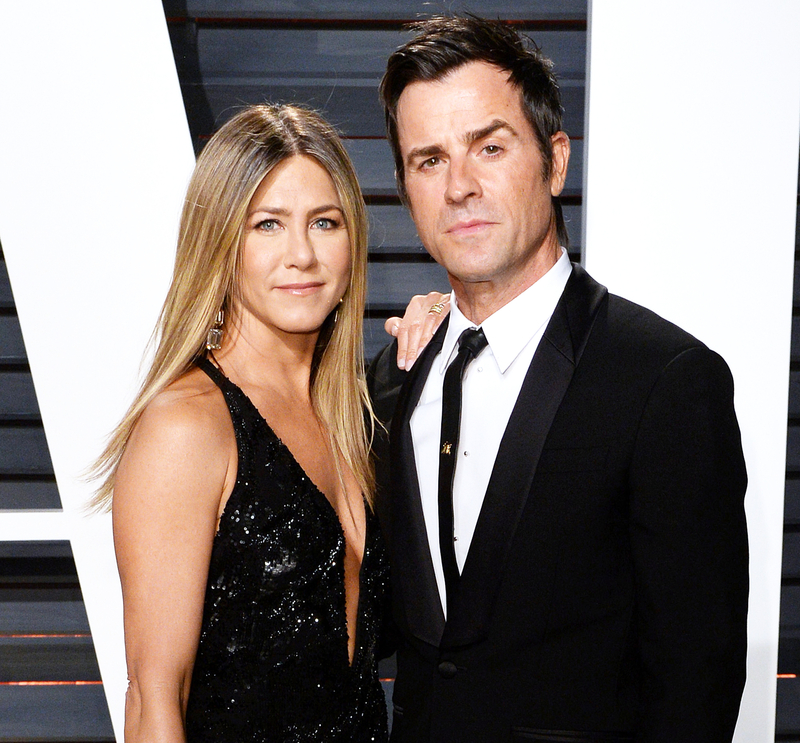 And now, with two years of wedding bliss behind her, Us Weekly Video takes a look back at the Friends alum and her husband Justin Theroux’s love story. Watch the video above. Prior to connecting with the Cake actress, who famously split from ex-husband Brad Pitt in 2005 after he romanced now-estranged wife Angelina Jolie, Theroux was in a relationship with stylist Heidi Bivens for 14 years. While Theroux was still dating Bivens, Aniston was mending a broken heart and getting back in the dating game. The Just Go With It actress dated her Break-Up costar Vince Vaughn in 2006 before moving on to bad boy John Mayer, who she dated for a year prior to splitting in March 2009. Fast-forward two years and Theroux was ready to make it official. The Leftovers actor popped the question to Aniston on his 41st birthday on August 10, 2012. “Justin Theroux had an amazing birthday Friday, receiving an extraordinary gift when his girlfriend, Jennifer Aniston, accepted his proposal of marriage,” his rep told Us at the time. The pair then kept fans on their toes during their three-year-long engagement before they stunned even their closest friends by throwing a surprise wedding at their Los Angeles home on August 5, 2015. Relive their adorable story in the video above.